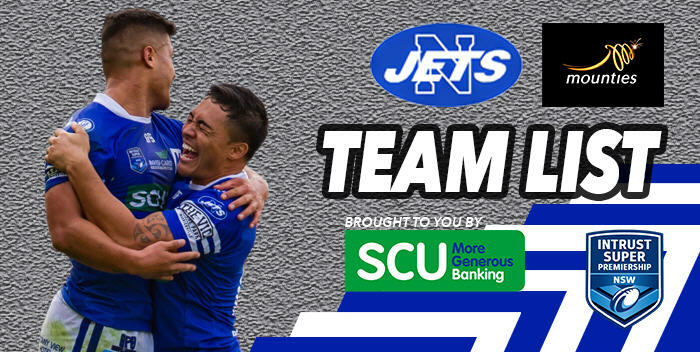 The Newtown Jets return to Henson Park this Saturday, 14th May and has named its team for the Intrust Super Premiership NSW Round 10 blockbuster versus competition leaders Mounties kicking off at 3pm on the annual LADIES DAY promotion. LADIES DAY is the occasion when the Jets pay tribute to the enormous role played by women in so many aspects of the modern Rugby League game. The Jets will be raising funds for St Vincent De Paul’s Elsie Women’s Refuge on the day. Located in the Inner West of Sydney, Elsie Women’s Refuge is a crisis accommodation and case management service for women with children who have experienced domestic/family violence. It provides safe shared accommodation with individual bedrooms. For more information: https://www.vinnies.org.au/page/Find_Help/NSW/Domestic_and_family_violence/Elsie_Women_s_Refuge/. There will be FREE bubbly on offer for ladies over 18 and plenty of fun for the kids on the Hardi Aged Care Family Hill featuring bigger than ever jumping castles, face painting, pass the ball, Ice Cream Joe’s Mr Whippy & Barista along with JETMAN.